I scream. You scream. Even Doug screams for ice cream. 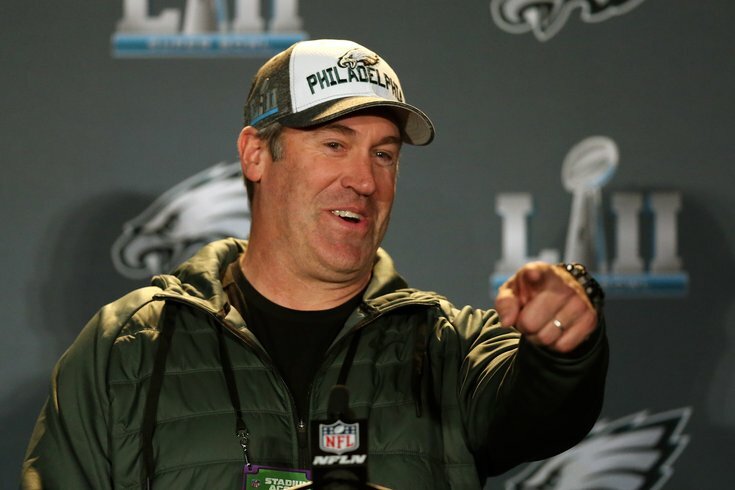 Eagles head coach Doug Pederson celebrated his 50th birthday on Wednesday, and the Birds shared a funny video of the birthday boy ending team meetings by telling the players to hurry up and finish so they can eat some ice cream before it melts. Easily the best part is Doug complaining the one time they didn't have his favorite, Hagen Das, and then rejoicing when it was back in stock. He's clearly a man of taste. On Thursday, just a few days before his team faces the Patriots in Super Bowl LII, Pederson was asked about his love of ice cream and how it became a part of weekly team meetings. "I love ice cream. Can't you tell?" Pederson said with a laugh. "It's just something I came up with, a saying. We do serve ice cream as our snack the night before a game, and I love ice cream. And I don't want to stay in that team meeting too because it's over there melting. So I just through it out there every week. Nothing really behind it." I doubt they'll have to worry about it melting this week – the high temperature in Minneapolis on Thursday isn't expected to climb above single digits.